The concept of supply and demand is ripe in the new home construction industry. The four ‘L’s of new home construction are each suffering a supply problem, and with that comes added costs. Let’s break it down! Lots – There is a shortage of land near metros at an affordable price, causing builders to move farther and farther away from cities to keep costs down. This isn’t always an attractive option for those who want to stay close to work. Labor – The Great Recession forced many skilled construction and trade workers to find other sources of income once their jobs were lost at the time of the crash. Even though the overall housing market has recovered, these workers have not returned. Those who remain are starting to age out and retire, causing even more of a shortage and additional costs. Lumber – The cost to build a new home is directly tied to the cost of the lot and the cost of the supplies needed to build the home. 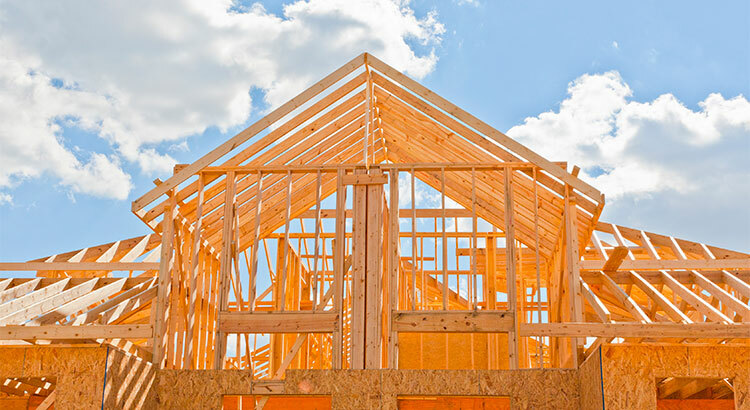 Lumber costs continue to escalate due to policies restricting the importation of Canadian lumber, making larger luxury homes an attractive option to recoup costs when selling, rather than building smaller single-family homes and making less profit. Below is a graph showing the increase in cost of 1,000 board feet of framing lumber. Year-over-year, lumber costs are up 13% after reaching a high of $433 in the second week of April. Lending – During the Great Recession, many small community banks were forced to close their doors. These banks were a great source of capital and lending for builders looking to borrow money at a low interest rate in the community in which they were building. Tougher lending standards have made borrowing funds more expensive and more difficult for builders.